Films “Foxcatcher,” “Birdman” and “Boyhood” racked up nominations at the 21st annual Screen Actors Guild Awards, but largely ignored was the highly anticipated film “Unbroken.” The film directed by Angelina Jolie which is scheduled to be released in the United States on Christmas Day, is based on the book by Laura Hillenbrand and features the life of Louis Zamperini, one of America’s greatest heroes. Jolie who is widely credited for her real-life interest in promoting humanitarian relief is also the executive producer of the indie drama “Difret” which tells the story of a girl and a female lawyer who take on the Ethiopian tradition of “telefa” (marriage by abduction). “Orange Is the New Black’s” Uzo Aduba continued her nomination roll receiving a nod for Outstanding Performance by a Female Actor in a Comedy Series. The drama “How to Get Away with Murder” earned thespian Viola Davis a nomination for Outstanding Performance by a Female Actor in a Drama Series and Cicely Tyson totaled her SAG nomination slate to five with an Outstanding Performance by a Female Actor in a Television Movie for film “The Trip to Bountiful” which she stars alongside Blair Underwood. 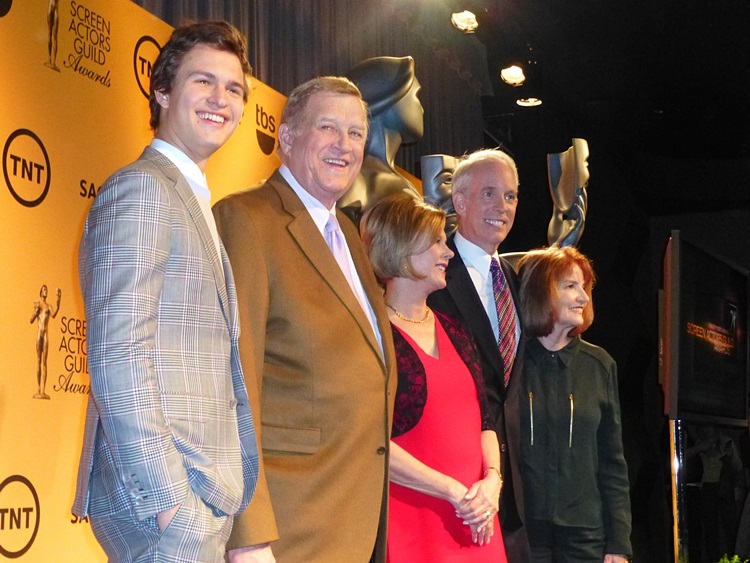 SAG-AFTRA President Ken Howard introduced Ansel Elgort (“The Fault in Our Stars,” “Divergent”) and actress/director/producer and SAG Award recipient Eva Longoria, who announced the nominees for this year’s Actors. SAG Awards Committee Chair JoBeth Williams and Vice Chair Daryl Anderson announced the stunt ensemble nominees. The awards show is the only televised ceremony that exclusively recognizes acting performances. The 21st Annual Screen Actors Guild Awards will be simulcast live nationally on TNT and TBS on Sunday, Jan. 25, 2015 at 8 p.m. (ET) / 5 p.m. (PT) from the Los Angeles Shrine Exposition Center.